Introducing Nitro-Tech 100% Whey Gold whey protein powder – a pure whey protein formula featuring whey peptides and isolate. A great-tasting formula that doesn’t pack the extra sugar and carbs. This gives you more protein per scoop and a better overall macronutrient profile. 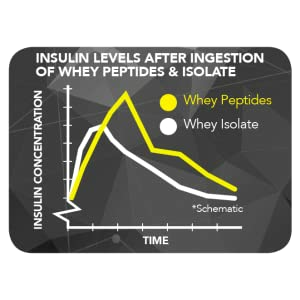 MuscleTech researchers reviewed numerous clinical trials on whey peptides, and the science shows that whey peptides can promote rapid recovery from exercise and even support an insulinogenic response for improved nutrient delivery. This means you are getting an ultra-pure, rapidly absorbed and quickly digested whey protein powder that allows you to recover faster, build more lean muscle mass and get better results from your training sessions. Whey peptides have one of the highest biological values (BV) of any protein source, a value given to protein sources to measure how well they are absorbed and used by the body.